Industrial assets across Perth have become increasingly sought after, with plunging vacancies expected to accelerate sales activity throughout 2019. Recent research by commercial agency Knight Frank Australia showed the vacancy rate in Perth industrial properties fell for two consecutive quarters in the July and October periods of 2018, the first time that had occurred since the commercial agency began tracking in 2013. Total available industrial space in Perth was about 605,000 square metres, with the 128 listed properties the lowest level recorded since October 2016. Prime rents were up 1.7 per cent year on year, to $84 per square metre and tipped by Knight Frank to rise, while secondary rents are expected to be steady at $65/sqm in 2019. Knight Frank industrial sales and leasing associate Geoff Thomson said demand from logistics and resources players had been the driving factor behind the successive quarterly falls in available industrial space. However, Knight Frank research analyst Nicholas Locke said much of the improvement in industrial land markets occurred in traditional precincts such as Kewdale/Welshpool and Canning Vale. “A third quarter of positive data will be needed to shore up any belief of a wider or sustained improvement,” Mr Locke said. The sales market provided a mixed result, with a 76 per cent decline in investment sales worth more than $10 million between 2017 and 2018 the largest such fall in the country, according to JLL research. “However, it is expected that investment activity in this market will gain momentum as new projects in the resources sector have been committed and are about to commence – having positive spillovers on manufacturing and transport activity,” JLL said in a recent report. Colliers International research indicated the fall in investment activity was exacerbated by a limited supply of investment-grade assets, ensuring institutional investor appetite was not satiated. 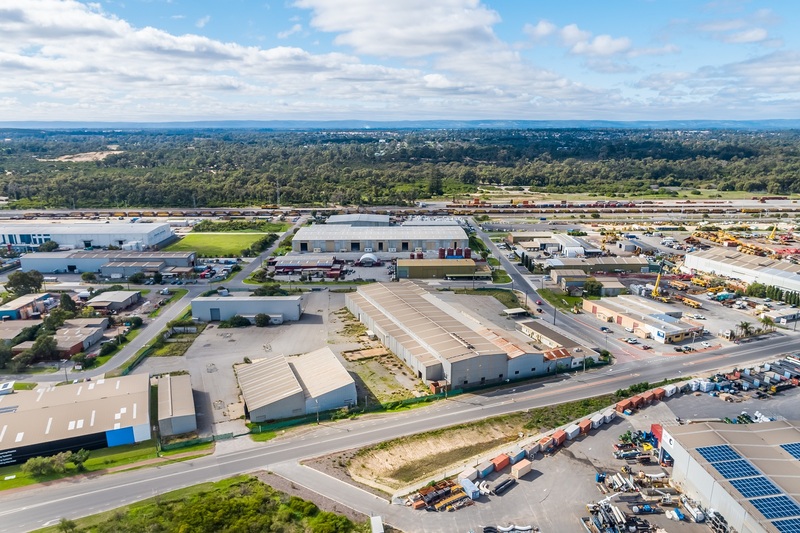 Colliers International industrial agency director Greg O’Meara said much of the investment-grade stock in Perth’s key industrial land markets of Welshpool and Kewdale were being held long-term by private investors. “Whereas institutions and syndicates dispose of assets at the end of an investment cycle, these high net-worth owners tend not to sell and this results in a lower turnover for many of Perth’s bigger industrial assets,” Mr O’Meara said. Notwithstanding the limited available stock, institutions were particularly active in Perth in terms of transport and logistics transactions worth more than $20 million throughout 2018. Highlights included the December sale and leaseback of Coca-Cola’s Perth distribution campus in Kewdale, which Charter Hall bought for $45.25 million. The second largest deal of the year, according to Colliers, was the $39.5 million sale of multi-shed property Russell Park Industrial Estate in Henderson, which Qube Holdings acquired from ISPT. Other big deals were Lester Group’s purchase of a Forrestfield logistics depot for $20.5 million, and Centuria Industrial REIT’s $23.8 million purchase of two Hazelmere industrial properties from owner-occupier AES Group. Colliers International senior research analyst Quyen Quach said concerns emerged at the beginning of 2018 that investment yields would climb in line with global interest rates and bond yields. “Despite initial worries, the strong demand for investment grade assets with secure cash-flow kept prime yields tight over 2018,” he said. Knight Frank’s research showed yields for prime industrial assets ranged between 6.83 per cent and 7.26 per cent, down 29 basis points over the past 12 months.